Scroll down. Uncover fascinating research and publications recently produced by our colleagues, new academic programs offered by our university partners, and exciting news from around our Network and larger professional community. This is your space. This blog represents regular updates from our field, with the news that we can use, and announcements that will stimulate our thinking and push us to explore new opportunities of our own. Each member of the Network for Research in Jewish Education can share here, and we invite you to reach out to your colleagues and turn this space into something that reflects the finest contributions of our community. If you are interested in sharing content, we invite you to share. If you have a research brief or article to share, please help us to learn along with you. Let us make this more than just our Network’s web portal and elevate it into a space for additional learning for us all. The Graduate Center for Jewish Education at American Jewish University is thrilled to announce the recent launch of the MAEd in Early Childhood Education. This new degree program grew out of the realized need for highly qualified early childhood faculty in the Jewish community who were educated beyond the mere twelve units required by California state licensing. The program is centered around leadership and advocacy in the early childhood arena. Students are paired with seasoned mentors who help guide students in implementing their learning in their work. Our inaugural cohort of 18 students began their studies this past fall. All students are required to be working concurrently with their studies and represent ten Jewish early childhood centers affiliated with the Orthodox, Conservative, Reconstructionist, Reform, and JCC movements across the greater Los Angeles area. They come with a range of experiences and are in a variety of roles including assistant teacher, lead teacher, parent educator, assistant director, and director. For more information about the program, the curriculum, and to apply, please see here. In addition to our new programs, AJU continues to offer exceptional training for Jewish educators through our MAEd and MAT programs. Please see here for more information about those programs. Azrieli Graduate School of Education at Yeshiva University is accepting applications for its second PELE Fellowship, a one-year fully funded Master’s degree in Constructivist Approaches in Jewish Education. PELE fellows benefit from close mentorships with leaders in the field. Their professional growth is served both through participation with peers and interaction with the larger Jewish educational network. Azrieli has launched the MafTEACH Fellowship, a year-long opportunity to experience and learn about Chinuch. MafTEACH offers undergraduate students a window into the Chinuch world, bringing those selected for the fellowship to schools across North America. There, partnered with experienced educators, they will observe and participate in formal and informal Jewish educational programming. Save the date for the new, expanded Jewish Job Fair and Networking Evening. Hundreds of schools and other employers will be available to meet prospective employees and to share their latest innovations, programs, and products. Whether you are looking for a position, or want to hear about new curricula and interesting programs, join us on March 28 from 6-9 pm. More information and registration for schools, job seekers and networkers available shortly. The William Davidson School of Education of The Jewish Theological Seminary’s first year students recently returned from Israel where they spent 10 days learning about the complexities of teaching Israel. The students visited various places in Israel such as Heichal Hatzmaut in Tel Aviv, the Kineret Cemetery, the Rabin Center, Ben Gurion house in Tel Aviv. The spoke with Laura Beilis, the director of the movie Rock in the Red Zone, Rabbi Aaron Leibowitz from Hashgacha Pratit, Doron Galezer, the producer of Salach, Po Ze Eretz Israel and other speakers. Last Wednesday, our group shifted gears from discussing pre-1967 Israel to focusing on Jewish and Palestinian communities that live outside the Green Line. In the afternoon, we visited the East Jerusalem Educational Bookshop, which was a highlight of the trip for me. Although I currently live in West Jerusalem and have visited Israel many times, this visit to the bookshop was my first time in East Jerusalem, which is where the majority of the city’s non-Jewish population resides. At the bookshop, which serves as a cultural and educational center, we heard from three East Jerusalem locals about their struggles living under Israeli control as residents without citizenship. It was very interesting to learn more in-depth about the unique political status of East Jerusalem and the difficulties that come along with being a resident there. It was also powerful and challenging for me to hear some of the perspectives on the occupation and conflict that were shared by our speakers. Some of the thoughts and feelings shared were things I expected and have heard before, but there were multiple points in our conversation where I was pushed outside my comfort zone by something that was said. Looking back, I think that exact feeling is why this was a highlight of the trip for me. It’s so important to break out of our social enclaves where we’re too often surrounded by those who hold similar beliefs and world views as us. I’m grateful to have had the opportunity at the bookshop, and frequently throughout Visions and Voices, to do just that. When we browsed the bookshop at the end of our discussion, I decided to buy two books: one by a Palestinian American and the other by an Israeli Jew. I look forward to gaining a deeper understanding of more narratives through my reading! The Graduate School of Education and Human Development at The George Washington University is pleased to announce the launch of a graduate-level one-year Certificate Program in Israel Education, in cooperation with The iCenter for Israel Education. Cohort 1 is underway, and applications for Cohort 2 are open at https://www.theicenter.org/initiative/professional-certificate. In addition, GW is fortunate to have received a one-year grant extension from the Jim Joseph Foundation to support Cohort 6 (2019-2020) of its one-year Master’s Program in Experiential Education & Jewish Cultural Arts. For more information, see https://gsehd.gwu.edu/programs/masters-experiential-education-and-jewish-cultural-arts. Applications are open! Hebrew College is pleased to report the first of its graduates from the joint PhD program in association with Lesley University. Barbara Merson successfully defended her dissertation entitled “Harmonies and Dissonances: the Relationship between Values taught and Values experienced in three Values-Oriented High Schools”. Barbara Merson has now joined the adjunct faculty of Hebrew College teaching on our Master’s degree program. Our ongoing action research pedagogies continue with (i) the spirituality of children, (ii) philosophical inquiry using Tanakh and (iii) Project based learning in congregational schools. Dean Michael Shire has been a member of the Applied Jewish Wisdom fellowship of the Lippman Kanfer Foundation during 2018 and generated a paradigm for “Educating for Wholeness (shlemut)” to be presented at a consultation at Jewish Theological Seminary in January 2019. Michael Shire continues on the editorial board of the Journal for Jewish Education and recently submitted an encyclopedia article on “Jewish Childhood” for the SAGE Encyclopedia of Children and Childhood Studies. He was a consultant to the Jewish Education Project research project: Generation Now: Understanding and Engaging Jewish Teens Today. He has recently stepped down as chair of the Association of Higher Education Institutions in Jewish Education (ALOHA) and has been appointed to the Public Life and Global Community committee of the Religious Education Association. A three-day conference devoted to the teaching and study of Israel Education was held in October at Hebrew College. Over 200 participants engaged in seminars and workshops on Israel engagement and education for contemporary and pluralist Jewish settings. We invite you to read more about us and our work here on our blog. Rosov Consulting continues to work extensively in evaluation of programs related to Jewish teen education and engagement. In 2019, a new report will be released on both measurements and outcomes in this space, which will build on the 2016 report, Generation Now: Understanding and Engaging Jewish Teens Today. Rosov Consulting also is co-editing the next issue of the Journal of Jewish Education, which will focus on Jewish teens, and is co-presenting a session at the Association for Jewish Studies conference in December on this topic. We are as well pleased to share a collection of new evaluations and research with the wider community, including the following items. manuscripts on all sorts of topics are received, they are peer reviewed, revised, and then three months later, Taylor & Francis publishes the next issue of the Journal, which is received with anticipation and interest by all of you. Volume 84, as well as two general issues, focused one themed issue on Developing Historical Understandings, and another on Jewish Camps and Camping, both of which call attention to the variety of educational questions that researchers have begun to explore within these themes. Volume 85 will include one themed issue related to Practitioner research. This will be the first time we have focused on this important area, and is the culmination of considerable deliberation and work in the past year, working with academics, practitioners, and their mentors. We have recently published a Call for Papers for a themed issue that will address the lives, educational experiences, attitudes, interests, and affiliations of Jewish adolescents. Adolescence has long been considered a time of change and development. In this themed issue of the Journal of Jewish Education we seek to explore topics related to Jewish adolescents in this moment in time. How do new contexts shape what it means to be a Jewish adolescent? If you, are researching in this area, do think about writing for us. In June, we awarded our Inaugural Best Article of the Year Award to Ziva Hassenfeld as the worthy recipient for her article “Teaching Sacred Texts in the Classroom: the Pedagogy of transmission and the Pedagogy of Interpretive Facilitation”. We are in the process of exploring moving to Scholar One, which is an on-line program for submitting and reviewing all manuscripts received. Almost all JJE articles prior to 2008 are now available via the Berman Jewish Policy Archive. Thanks to Ari Kelman and Matt Williams, as well as to T&F, for ensuring that happened. The intention is to release a further volume per year. Bethamie Horowitz has stepped down as an Associate editor after 7 years, and has been replaced by Sivan Zakai. Joe Reimer will also step down after the Camps issue has been published, after 8 years as an Associate editor. We thank them both for their significant contributions to JJE. March 2019 begins our 85th year of publishing the Journal of Jewish Education. We look forward to an even busier time ahead as we take the Journal forward. The Network is pleased to feature a number of members at a special track at this year’s Prizmah 2019 conference in Atlanta, titled Research in Practice, bringing a unique research orientation to the wider field of day school education. We look forward to further discussing their work as it develops, and we invite you to reach out to them individually and to engage them in individual conversations about their research. Board members often ask for measures on impact, outcomes, and needs. What happens when board members are engaged as data collectors themselves? Our experience in having board members pilot a study of impacts uncovered multiple benefits. Explore how this approach can be applied to other situations through a series of self-study exercises and discussions. Explore how Jewish studies teachers’ thinking translates into curriculum and classroom practice. Looking at research from two studies—how teachers comprehend and present Biblical miracles, and how teachers describe rabbinics—we consider a range of strategies that teachers adopt in teaching these texts. Ponder together how students respond to these initiatives. Reflect on the strategies that teachers employ, and share thoughts, experiences, and insights with colleagues. Why do some issues continue to arise after you thought you had resolved them? Learn a sophisticated researched-based leadership practice that begins with identifying the difference between problems to be solved and dilemmas to be managed. Explore how managing dilemmas facing your day school requires toggling between two values you hold dear but which you cannot enact simultaneously. Discover ways to embrace values tensions to become more reflective, more inclusive, and ultimately more effective in enacting the values you cherish. How do day school students at the elementary school level understand the Israeli-Arab/Palestinian conflict, and how do their thoughts and feelings about the conflict develop throughout the elementary school years? Drawing upon the research of the Children’s Learning About Israel Project, a longitudinal study of Jewish children, explore what the conflict looks like through the eyes of elementary day school students, and how can schools be more attuned to the developmental needs of children. For more information about any of these sessions, we invite you to contact the individual researchers. Other members of the NRJE will be presenting throughout the conference, and we invite you to be in touch with them as well. The Arts Education Concentration enables students to study and explore the Jewish arts and how to integrate them into a range of artistic disciplines, age levels, and cultural contexts. Students will learn how to incorporate the arts into curriculum in a variety of educational settings and will create aesthetically rich environments for living and learning. Students will need to take at least two electives in the arts and fulfill a practicum in a museum or in an arts organization. The concentration is integrated into the existing Davidson School curriculum. Students will receive a certificate of completion in addition to their diploma. For more information, visit www.jtsa.edu/master’s-degree-in-jewish-education or contact the Admissions Office at (212) 678-8022 or edschool@jtsa.edu. The Graduate Center for Jewish Education at American Jewish University (AJU), which offers both a Master of Arts in Teaching and a Master of Arts in Education, is pleased to announce the appointment of Rachel Lerner as Dean, effective January 1, 2017. Most recently, Dr. Lerner served as Assistant Dean and Interim Dean of the Graduate Center for Jewish Education. Dr. Lerner earned her Doctorate in Education from JTS as a Wexner Graduate Fellow/Davidson Scholar, where she studied how vision-guided education is implemented through the socialization of new teachers. Dr. Lerner has taught Masters-level education students at both the American Jewish University and the Jewish Theological Seminary, supervised student teachers in day schools and part-time Jewish schools, and held leadership positions in Jewish overnight camp. She has worked as an administrator and teacher in Jewish day schools—at both the elementary and high school levels. In addition, the Teaching Israel Fellowship at AJU welcomed its third cohort of educational leaders from Jewish day schools, supplementary schools, camps, and community organizations. Under the direction of Sivan Zakai, the fellows have begun a year-long process of learning and reflection, focusing on both the research and practice of Israel education. We are pleased to announce that we have received a Jewish Life Grant from the Rosalinde and Arthur Gilbert Foundation which will allow us to expand the educational opportunities for Teaching Israel Fellowship alumni. This grant will support in-school coaching, a summer curriculum workshop, and a year-long writing workshop aimed at mentoring Teaching Israel Fellowship alumni as they write and publish thought pieces in the field. Fingerhut Professor of Education Ron Wolfson was recently the scholar-in-residence at the Union for Progressive Judaism’s Biennial conference in Perth, Australia. His topics included Relational Judaism, Building a Congregation of Congregations, a storytelling presentation based on his recent memoir, and a session with Bar/Bat Mitzvah students on God’s To-Do List at Perth’s Temple David. The Graduate Center for Jewish Education is now accepting inquiries and applications for the Master’s in Teaching and Master’s in Education programs. The graduate Education program is two years and prepares students for positions in part-time Jewish education, Jewish camping, Jewish schools, and more. The graduate Teaching program is geared for current day school educators and is also over two years, with classes on Tuesday evenings and one Sunday a month. To learn more, please visit www.aju.edu/education. The Azrieli Graduate School of Jewish Education and Administration at Yeshiva University is pleased to announce the introduction of rolling admissions to our Master’s Program in Jewish Education. We are now opening up applications for the Spring 2017 term for all Master’s programs, including both online and face to face options. Questions can be sent to: azrieli@yu.edu. Washington, DC — CASJE (the Consortium for Applied Studies in Jewish Education) today released the second of three literature reviews that explores what recent research about heritage, second and foreign language learning means for the teaching and learning of Hebrew. The newest review, Contributions of Second/Foreign Language Learning Scholarship to Identity Development and Hebrew Education, looks closely at how second/foreign language acquisition relates to learners’ identity development and their relationships with various cultures, groups and communities. New research focused specifically on Hebrew learning would help Jewish educators understand how their learners both relate to and are influenced by Hebrew. Avni outlines three key themes— Intergroup Relations and Motivation; Context and Culture; and Language Repertoires and Performance—which she notes yield important findings and reveal significant further questions to explore about Hebrew language learning. How a learner feels about being a part of “target language” community may determine her or his language learning success. Moreover, successful second language learning is not necessarily about being internally motivated, but about a person’s access (or lack thereof) to social networks in which they can use the language. For learners, investment in the target language is also an investment in their identity, which constantly changes over time and across contexts. If American Jews are learning modern Hebrew to identify and connect with the target language group (i.e., Israelis), further research could explore 1) how different Hebrew language learning conditions facilitate or hinder this connection? 2) Is Hebrew the only or best way to facilitate this connection? 3) In what ways do some members of Israeli communities accept or marginalize non-native Hebrew language use or facilitate Americans’ attempts to learn and use Modern Hebrew? This research shows that while some learners may achieve “success,” others may experience ambivalence, resistance to or rejection of the target language culture or community. Thus, future research might explore the relationship between language learning and the process of identifying as a member of a particular community: In what ways are Hebrew language learners—whether learning through social media, preschools, day and sleepaway camps—socialized to think about what it means to become a “speaker of [Jewish] culture”? In what way does the teaching of Hebrew as a second language socialize American youth into particular ways of thinking about themselves as Jews? Language teachers and learners are engaged in a performance with an audience of spectators in the classroom and with a broader global audience that may not be physically present, but who also either reject or affirm the learners’ new knowledge. One study examines how Israeli shlichim families in the United States learn to recognize and mock Americans’ non-Israeli pronunciations of Hebrew, thereby allowing Israelis to reinforce and blur the boundaries between Israeli and American Jews. By doing so, the children of shlichim can claim Israeli authenticity. Learning to Read Talmud: What it Looks Like and How it Happens, edited by Jane L. Kanarek and Marjorie Lehman, and emerging from the work of the Learning to Read Talmud project, has just been published by Academic Studies Press. It contains a series of classroom studies written by Talmud professors in colleges, universities, and seminaries, in which scholars and master pedagogues reveal both how teachers teach their students to read Talmud and how students learn to read it. This summer, the Hebrew in North American Jewish Camps project released the report “Connection, not Proficiency: Survey of Hebrew at North American Jewish Summer Camps.” The survey found that for most camps, Hebrew is a means to develop affective sensibilities, not language proficiency. There is great diversity among camps’ use of Hebrew; this is affected by staff Hebrew ability, which network the camp belongs to, the degree of Jewish education at camp, and the presence or absence of Israeli staff, among other factors. The survey was part of a larger study, which will result in a book, forthcoming in 2017. Project co-director Sarah Benor (HUC) has spoken about these findings at UC Santa Barbara, Aston University in Birmingham, UK, and Indiana University. Sivan Zakai (AJU), director of the Children’s Learning About Israel project, recently published “American Jewish Children’s Thoughts and Feelings About the Jewish State: Laying the Groundwork for a Developmental Approach to Jewish Education” in the spring issue of Contemporary Jewry. She spoke on “The Paradox of Israel Education in the 20th Century” at the Leffell Seminar on the Impact of Israel on American Jewry, last August. “How Jewish Day School Teachers Perceive School Conditions,” the latest report from the DeLeT Longitudinal Survey, was released this fall. The report, by Eran Tamir, Nili Pearlmutter, and Sharon Feiman-Nemser, examines day school teachers’ perceptions of the professional culture and working conditions in their schools, looking at the extent to which teachers receive various types of support from the head of school, the administration, colleagues, parents and the school community at large. The report also looks at day school teachers’ satisfaction and dissatisfaction with their working conditions. The survey included graduates of DeLeT at Brandeis and HUC, and Stern College for Women, as well as participants in the Jewish New Teacher Project mentoring program. In September we welcomed Ziva Hassenfeld as a post-doctoral fellow at the Mandel Center. She received her doctorate from Stanford University, where her research focused on the tools and reading strategies young children employ when reading Biblical texts as well as the pedagogies teachers use to support student textual interpretation. Ziva’s fellowship was made possible with the generous support of the Mandell and Madeleine Berman Foundation. Elliot Goldberg will be with us as a visiting scholar. He served most recently as head of school at Solomon Schechter Day School of Greater Boston. He will be working on the Students’ Understanding of Rabbinics project and on his own research, on the teaching and learning of rabbinics in Jewish day schools and other settings. The problem this study will address is that the factors and conditions contributing to parental choice in Jewish education are not fully understood. The problem stems from two key factors. First, a mechanism for collecting data on parental choice in Jewish education, examining how parents choose a Jewish educational program for their children, does not yet exist, nor does a mechanism for data collection mechanism to determine why parents choose to have their children leave one program in favor of another. Without fully understanding the factors and conditions that contribute to how parents decide which Jewish educational option fits the needs of their children, it is difficult to respond to parents, who often claim the school is not meeting the needs of their families. It is worth acknowledging that not all parents are forthcoming with pertinent information about why they are choosing one program or setting over another, or why they are leaving a program. Choice in Jewish education has evolved to the point that parents have an array of options for their children, ranging from formal and informal settings, day school, supplementary school and family education. While some parents will choose not to pursue a Jewish education for their children, other parents try out a succession of options, pulling their children out of one program to try another as soon as they encounter a challenge. Leaders of Jewish schools do not always know the reasons why parents choose to enroll their children in a school or program, or why they choose to leave. If school leaders had a better understanding of the factors and conditions contributing to parental choice in Jewish education perhaps they could stem the flow of decreasing enrollment and better meet the needs of students and families in their schools. The study will examine factors and conditions parents report influence their decision to choose a Jewish educational program for their children or change their enrollment. In this ethnographic study, two Jewish day schools and two supplementary schools in the Scottsdale / Phoenix area will be studied. Data will be collected using parent interviews, surveys and case studies. The degree to which the factors and conditions contributing to choice in Jewish education are understood could have the potential to affect student enrollment and retention rates. Lori Riegel is a PhD candidate in Educational Leadership in a joint program of Lesley University and Hebrew College. As a curriculum historian, I am interested in how and why particular educational ideas, programs, and practices developed in the past; the circumstances in which they emerged; how they evolved over time in light of changing circumstances; and the long term effects of them on the way things are done in schools and society. Occasionally, I am asked by a somewhat exasperated reader what any of this stuff has to do with the real world, here and now—in other words, who cares? Naturally, this kind of question makes me bristle. My colleagues in medieval Jewish thought, colonial American history, and so forth, are not regularly asked to explain what makes their work relevant. It just needs to be accurate, informative, and eye-opening enough to capture contemporary imaginations and thereby broaden contemporary horizons. But, truth is, when you work in the field of education, the general expectation is that your research needs to have some sort of direct and immediate applicability to educational activities in order to be worthwhile. There are a number of historical, ideological, and practical reasons why this expectation underlies the field of educational research (see Ellen Lagemann’s An Elusive Science as a good starting point). What got me thinking about these issues is the increased attention I have noticed of late to the notion of “applied” studies, research, and wisdom in Jewish education—see, as but two examples, the emergence of the Consortium for Applied Studies in Jewish Education (CASJE) and the Lippman-Kanfer Foundation for Living Torah’s prizes for Applied Jewish Wisdom. The emphasis on the value of “applied” knowledge implies that the Jewish professional world presently has too many opinions and not enough facts to support them, or too much prescription without description, prognosis without diagnosis, or theory without practice. What knowledge is of most worth, then, is that which is based on solid evidence and can tangibly move the needle now and into the future. A project I co-direct with NRJE past-chair Jonathan Krasner, entitled “Jewish Historical Understandings,” builds on the interest in applied research by focusing its sights squarely on what learners actually gain from the study of Jewish history, not just on what they should get out of it, which is where most of the attention focused up till now. Another project I am involved in applies research on what we know about contemporary Jewish youth, their interests, and their proclivities, to a process of developing a new set of principles and frameworks for Jewish education in the 21st century. The book I just completed with my colleagues Barry Chazan and Robert Chazan, titled Cultures and Contexts of Jewish Education (forthcoming in May 2017)—even with its heavy emphasis on history and philosophy—nonetheless concludes with ideas on where the American Jewish education enterprise can go from here. I would not say that I’ve caught the “applied” bug so much as I would say that I am becoming increasingly conscious of for whom and what I toil, how, and to what effect. It’s been an interesting reflective process for me as a scholar, and it’s also brought me in a variety of new, fun, and exciting directions with my work. Speaking of applying research, I sincerely hope you will join us for the NRJE/ASSJ Annual Conference, to be held June 5-6, 2017, at Brandeis University. I also encourage eligible Network members to apply for the NRJE/CASJE Emerging Scholars Seminar, to be held immediately before the annual conference, and to apply for the Emerging Scholars and Research Awards. More information on all these opportunities can be found by clicking through our website above. Let me add now a word of greetings as the (new) chair of the NRJE. I am filling shoes literally smaller than mine but figuratively much larger, as Jonathan Krasner did a superlative job during his tenure as chair growing and strengthening the Network in many ways. On behalf of the Network I thank Jonathan for his service, which continues now in the official role of past-chair on our Executive Board and conference chair for the 2017 NRJE/ASSJ Annual Conference. I want to welcome two newly appointed members to the Executive team—Sara Shapiro-Plevan, who serves as secretary (and is editing this blog/newsletter), and Frayda Gonshar Cohen, who serves as treasurer. I also want to congratulate Ari Kelman and Laura Yares on being elected to the NRJE Board by the membership, and thank Ari for stepping into the role of chair of the Awards committee. Finally, in an era when our once trusted institutions and sources are now playing fast with the truth (“truthiness” seems so quaint these days), it is incumbent on scholars and scholarly organizations to stand for the value of free inquiry, evidence-based assertions, and warranted conclusions in whatever research, teaching, and service we engage. I welcome suggestions from members on how NRJE can serve as advocates in this endeavor. May this spring bring only good news and welfare for you and yours, and all of us. fund larger scale research projects that could make an important contribution to the research literature in our field. Both Sylvia and Moshe Ettenberg were devoted to Jewish education in their own way. Sylvia, through her base at the Jewish Theological Seminary, the Teachers Institute, Camp Ramah, and the Melton Center, was the ultimate Jewish educational professional. An avid reader of Jewish educational research, she regretted not writing more about her work. Moshe was the quintessential Jewish lay leader, serving as shaliah tzibur at the synagogue at JTS and teaching Talmud on a weekly basis, while pursuing his own research agenda in electrical engineering. delighted to announce the first two winners of this prestigious award. Mazal tov to both awardees. We look forward to hearing more from Ziva and Sharon as we honor them at the NRJE annual conference at Brandeis, and of course, we eagerly await the publication of their work. Learn more about the Ettenberg Research Grant award winners and read their abstracts here. 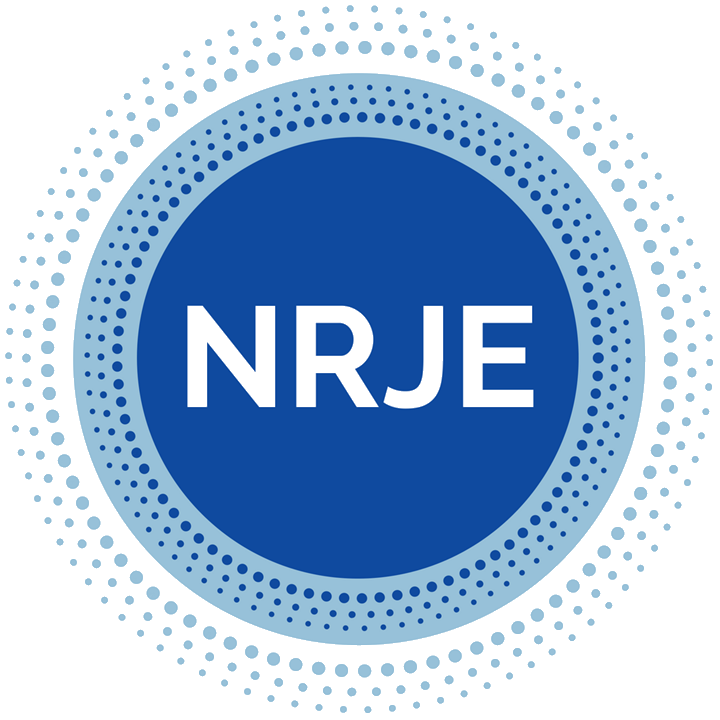 The Jack, Joseph and Morton Mandel Center for Studies in Jewish Education, and Brandeis University look forward to welcoming the 2017 NRJE Conference in June. Brandeis is the only nonsectarian Jewish-sponsored in the United States and is one of the youngest private research universities. Since its founding in 1948, Brandeis has been characterized by academic excellence, commitment to social justice, and service to the Jewish community. That service includes a constellation of centers, institutes and departments that study and provide learning opportunities in Jewish education. The Jack, Joseph and Morton Mandel Center for Studies in Jewish Education is the only university-based research center in the country that is exclusively concerned with research in Jewish education. With three faculty members and a network of affiliated scholars, the Mandel Center supports a number of scholarly projects, all focused on the study of learners and learning in Jewish educational contexts and settings. This focus on learning stems from a belief that when Jewish educators articulate ambitious learning outcomes, when we cultivate shared responsibility for learning and assess learning consistently, and when we are relentlessly curious about students’ understandings, we move towards Jewish education that can make a deep and lasting difference in the lives of students and the vibrancy of the Jewish community. Children’s Learning About Israel studies how American Jewish elementary school students think and feel about Israel, and how that thinking changes over time. Hebrew in North American Jewish Summer Camps is documenting and analyzing how Hebrew is used and taught in Jewish overnight camps in the United States. Jewish Historical Understandings is investigating how learners learn and understand Jewish history, how they narrate the Jewish past, and how they locate themselves within these narratives. Portraits of Jewish Learning is developing an edited anthology of rich, textured narratives about and analyses of learning in Jewish educational settings. Students’ Understanding of Rabbinics studies what Jewish day school students have learned, and what they think, about rabbinic literature. Brandeis’s Cohen Center for Modern Jewish Studies produces social scientific research on contemporary Jewish life, much of it with an education focus. Recent reports include an evaluation of the Israel Fellows program, a study of Jewish engagement among millennial children of intermarried couples, and a directory of Israel Studies programs. The Hadassah-Brandeis Institute and Schusterman Center for Israel Studies also include studies of Jewish education among their research projects. Opportunities to study Jewish education are plentiful. Brandeis offers two BA programs and a number of options for Master’s degrees in Jewish education, teaching, and Jewish professional leadership and Jewish studies (through the Hornstein Jewish Professional Leadership program). Practitioners can develop skills essential to becoming an effective teacher leader through the Brandeis Teacher Leadership program, in addition to other professional development opportunities. If you were to survey Jewish education academics and researchers and ask them for their list of favorite authors writing on Jewish education, it wouldn’t surprise me if there would be considerable overlap in everyone’s lists . As with most disciplines, there is an inner circle of highly respected veteran authors who are very active contributors to the Journal of Jewish Education, and have been over a number of years. In the coming months we will be making past Journal issues more accessible through an exciting new relationship between JJE and BJPA. We will be announcing more details in the coming months! We certainly need our veteran authors, and, in addition, it is important for us to publish newer voices on the Jewish education scene. The Journal is delighted that this year, we will have published first time papers from younger, newer researchers as well as papers from more established researchers. We have also been grappling with the question of how we enable practitioners to publish through our Journal pages. What makes a practitioner piece suitable for the Journal? To what extent does it need to be grounded in theory? If we are going to publish practitioner papers, how can we support practitioners to enable their writing to make the grade? We, at the Journal, will shortly be publishing guidelines to enable practitioners to find their voices through the pages of the Journal. We have a responsibility to the Jewish education community to ensure that the next generation is heard, as well as broadening our range of authors. But, not at the expense of quality. Our associate editors and reviewers take every reviewable submission to the Journal and read and comment on it with a thoroughness that I certainly do not see from other journals. Even when an article is not yet ready for review, I send clear pointers to the author explaining exactly what needs doing to get the paper ready for review. In that way, we are more than just a publisher – we play a small part in supporting and mentoring our authors. So, veteran authors, you are our role models – don’t stop sending us your articles. And new and aspiring authors, we look forward to hearing from you. The Graduate Center for Jewish Education at American Jewish University (AJU), which offers both a Master of Arts in Teaching and a Master of Arts in Education, is pleased to announce the appointment of Dr. Rachel Lerner as Dean, effective January 1, 2017. Most recently, Dr. Lerner served as Assistant Dean and Interim Dean of the Graduate Center for Jewish Education. Dr. Lerner earned her Doctorate in Education from JTS as a Wexner Graduate Fellow/Davidson Scholar, where she studied how vision-guided education is implemented through the socialization of new teachers. Dr. Lerner has taught Masters-level education students at both the American Jewish University and the Jewish Theological Seminary, supervised student teachers in day schools and part-time Jewish schools, and held leadership positions in Jewish overnight camp. She has worked as an administrator and teacher in Jewish day schools—at both the elementary and high school levels. In addition, the Teaching Israel Fellowship at AJU welcomed its third cohort of educational leaders from Jewish day schools, supplementary schools, camps, and community organizations. Under the direction of Dr. Sivan Zakai, the fellows have begun a year-long process of learning and reflection, focusing on both the research and practice of Israel education. We are pleased to announce that we have received a Jewish Life Grant from the Rosalinde and Arthur Gilbert Foundation which will allow us to expand the educational opportunities for Teaching Israel Fellowship alumni. This grant will support in-school coaching, a summer curriculum workshop, and a year-long writing workshop aimed at mentoring Teaching Israel Fellowship alumni as they write and publish thought pieces in the field. Fingerhut Professor of Education Dr. Ron Wolfson was recently the scholar-in-residence at the Union for Progressive Judaism’s Biennial conference in Perth, Australia. His topics included Relational Judaism, Building a Congregation of Congregations, a storytelling presentation based on his recent memoir, and a session with Bar/Bat Mitzvah students on God’s To-Do List at Perth’s Temple David. Intergroup Relations and Motivation How a learner feels about being a part of “target language” community may determine her or his language learning success. Moreover, successful second language learning is not necessarily about being internally motivated, but about a person’s access (or lack thereof) to social networks in which they can use the language. For learners, investment in the target language is also an investment in their identity, which constantly changes over time and across contexts. Language Repertoires and Performance Language teachers and learners are engaged in a performance with an audience of spectators in the classroom and with a broader global audience that may not be physically present, but who also either reject or affirm the learners’ new knowledge. One study examines how Israeli shlichim families in the United States learn to recognize and mock Americans’ non-Israeli pronunciations of Hebrew, thereby allowing Israelis to reinforce and blur the boundaries between Israeli and American Jews. By doing so, the children of shlichim can claim Israeli authenticity. Elliot Goldberg will be with us as a visiting scholar for 2016-17. He served most recently as head of school at Solomon Schechter Day School of Greater Boston. He will be working on the Students’ Understanding of Rabbinics project and on his own research, on the teaching and learning of rabbinics in Jewish day schools and other settings. Learning how to engage with the Jewish textual tradition is central to Jewish education. How educators teach students to read Jewish texts, and how those students learn to read, shapes the kinds of Jews students will become. The Mandel Center at Brandeis University’s spring 2017 conference “Learning to Read in Jewish Education” will bring together practitioners and scholars from Jewish education and general education to discuss the teaching and learning of classical Jewish texts in Jewish elementary schools. For more information about this upcoming learning, please click here. Some teachers see the reading of texts as an opportunity to transmit religious knowledge. This idea finds expression when Rabbi Eliezer is praised for reporting that he “never said anything he did not hear from his teacher” (b. Sukkah 28a). Others hope to help students make sense of these texts on their own whatever that means for their particular community. As R. Ishmael taught, “One biblical verse can convey many teachings” (b. Sanhedrin 34a). Others navigate between these two objectives. Teachers’ choices about how to teach sacred texts stem from their conception of the purposes of religious education as well as their own pedagogical inclinations. What does successful reading of sacred texts look like for elementary school children? How do we help our students develop those capacities? This is an opportune time to bring together a diverse group of people to consider these questions. The 10th cohort of schools is completing the Jewish Day School Standards and Benchmarks project in Tanakh, and work is proceeding with Standards and Benchmarks in Rabbinics. A variety of new Tanakh and Talmud curricula are now available, along with innovative professional development programs. Educators in general have become much more reflective about their goals and their pedagogies. But we have not created opportunities for Jewish Studies teachers to talk together, across settings and institutions, about what we’ve learned. Through turning outward to the scholarship on reading in general education and inward to examine a plurality of definitions that Jewish educators work with in their teaching, we will develop new shared language for how we teach students to read sacred texts. We will map definitions of successful reading onto corresponding text pedagogies and articulate together our spectrum of positions on what successful reading of sacred texts can look like in Jewish education.